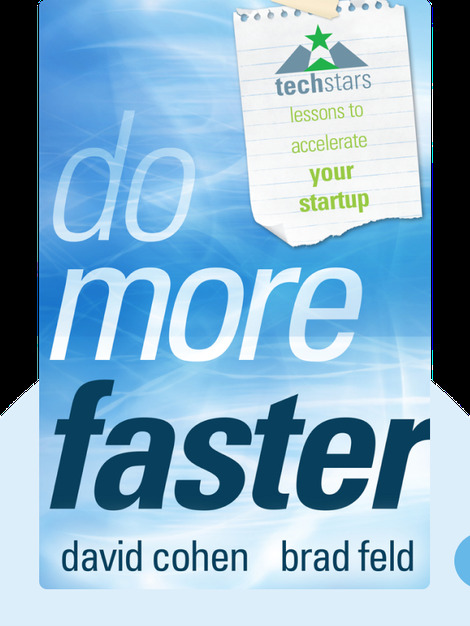 Do More Faster (2011) presents a step-by-step guide to launching your start-up. It’s crucial to stay on track as you move toward success, from honing your ideas to finding the right team and getting investors. The author also stresses the importance of the work-life balance while showing you how to do more faster. 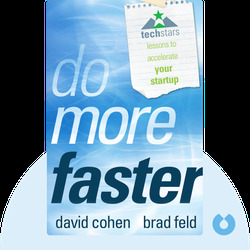 David Cohen is the founder of Techstars and has successfully started several other companies. Now he invests primarily in internet start-ups. Brad Feld works for the venture capital company Foundry Group and has been active as an investor and entrepreneur for over twenty-five years. ©David Cohen and Brad Feld: Do more faster copyright 2010, John Wiley & Sons Inc. Used by permission of John Wiley & Sons Inc. and shall not be made available to any unauthorized third parties.